Our 200hr personal development program will give you the knowledge and experience you need to teach yoga, to improve your speaking and communication skills and to access a breakthrough in your life. The promise of this program is to use Baptiste Power Yoga to cause an awareness that will allow you to discover what matters most to you in your life. Those looking for personal development in their relationships, career, and/or yoga practice. 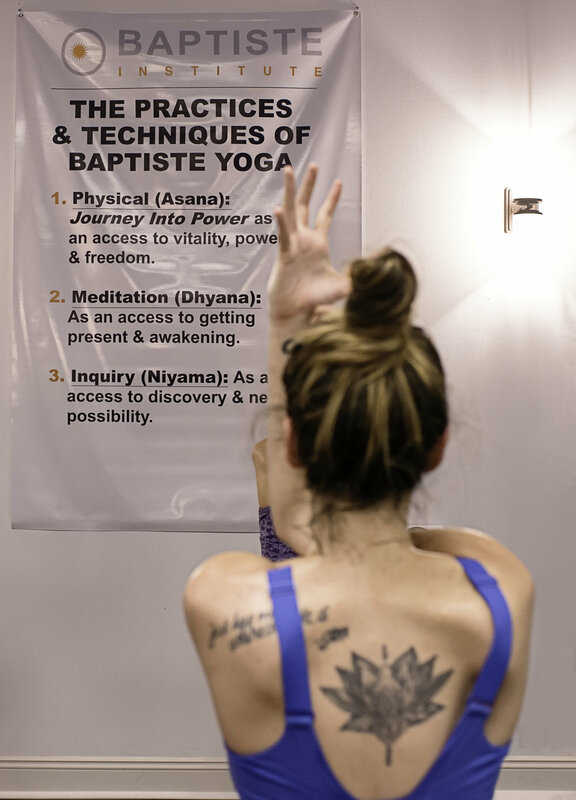 Those looking for a deeper knowledge and knowing of Baptiste Power Yoga. Those looking to develop their public speaking and communication skills. For Anyone who does or does not want to teach yoga. 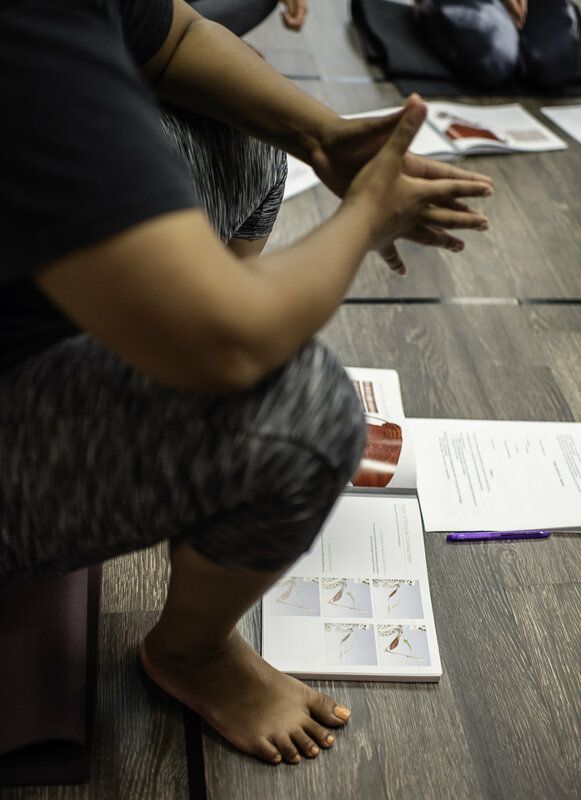 Asana: You will learn to teach a Baptiste Power Vinyasa Yoga class through teaching, feedback, asana clinic, anatomy work and detailed personal practice. Inquiry: You will work with others in a supported environment to become aware of what is and is not working for you in your life. Meditation: You will develop a personal meditation practice so that you can get present. Attendance at all training days and times. Complete 40 Days to Personal Revolution. Complete all readings and homework assignments, including class observations and assisting. Discounted Cost: $2850 - if program is paid in full 30 days prior to program start date. Payment plans are available with this option. Payment Plan options includes either 3-4 monthly payments on remaining balance after initial deposit. If you choose a payment plan, register early. Program must be paid in full within 90 days of program start date for the Fall session. Must be paid in full before July 28th for the summer session.